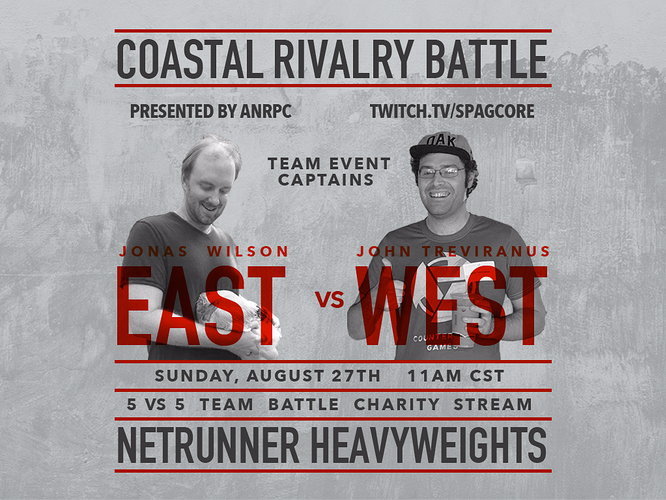 Welcome to the ANRPC East v. West Coastal Rivalry Battle, a late summer celebration of Android: Netrunner and giving. Two heavy hitters will be gathering together a team of five people on their side of the Mississippi River to go to cyberwar. From the Eastern Coast of the U.S., we have Jonas ‘thebigunit3000’ Wilson, 2017 Regional winner and former ANRPC MAC winner. The West Coast is helmed by the current U.S. National Champion and former Worlds top 16 competitor John ‘joseki’ Treviranus. Both players, in addition to being wonderful human beings, are known for their innovative, if frustrating to play against, decks, being some of the preeminent creative minds in the game today. Each time will gather a team of 5 players, with the King of Servers rule that no one on the team can duplicate identities, and all 7 major factions in the game must be represented. The current MWL will be in effect. To start, each team will send forth a competitor, and they will randomly determine sides. After that, in the fashion of the Topdeck series, the losing team will send forth someone new, their previously losing teammate having been eliminated. The new challenger will select sides, and play will continue until one team has been completely eliminated. $2 - Your name will be read on stream, along with a brief statement/shout-out/frustration/etc. $12 - A steel HB ETF/ST double-sided ID, or 2 metal ANRPC dice (colors are a limited amount of green, or the upcoming purple or pink, which will be sent out when they arrive). S&H is included in the U.S. If you wish to donate at this level more than once, each additional donation is $10. $40 - You will be able to come onto the stream to commentate on one of the games, randomly chosen. looks like you have to be a teamdog to get on the poster now. Are we able to donate in multiples of 12 to get more dice/ID’s? I’m assuming we should’ve used the PayPal note to say whether we’d like the dice or the steel ETF? Will you be collecting shipping information at a later date? Great cause and good luck with the tourney! For those of us who don’t about coastal locations, can we get info on who is repping team cat and team dog? I’d prefer all of it in the PayPal. Feel free to PM me. There is only one team and it is Dog. I know Tony is very cute, but I’m team cat these days. 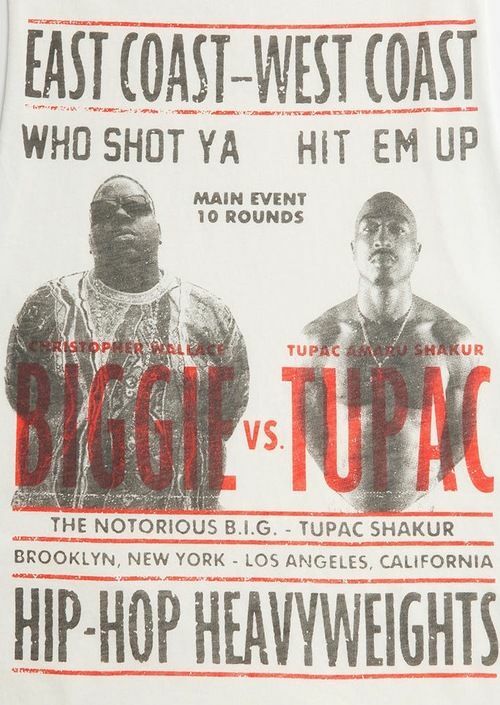 Any chance of international shipping? Who will be on the respective teams, I need to know, such excite! For sure, if you’re willing to throw in a few more dollars. I would ask @Joseki and @thebigunit3000. Otherwise, it will be a surprise on the stream. Thanx again to @eric_c for the poster. Here’s the inspiration. Any chance this can be a rotation-meta tournament? That, and the leaked MWL, and Crimson Dust, were all discussed. Believe we’re sticking with Gencon meta. Thanx to all that participated or helped!